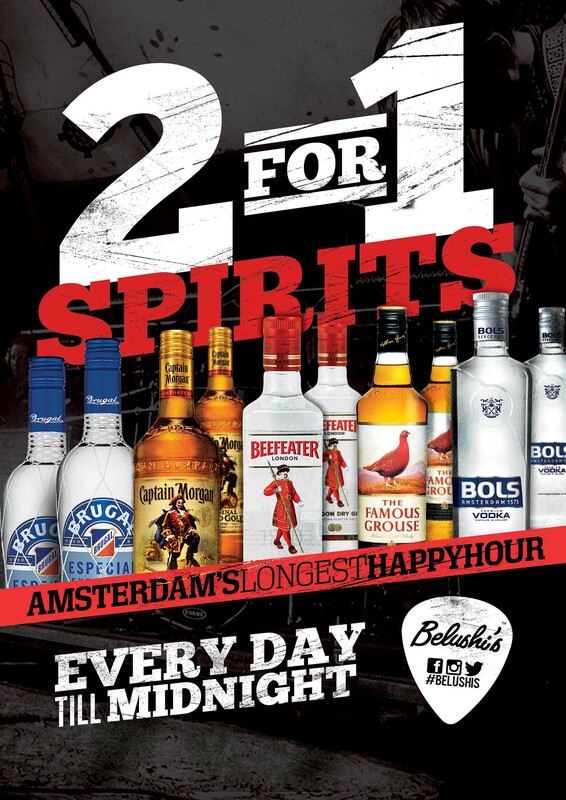 2 for 1 Bols Vodka, Captain Morgan Spiced Rum, Beefeater Gin, Famous Grouse Whisky & Brugal Rum with mixer all day every day until midnight. No big deal! It's only Amsterdam's longest happy hour!